In every decade of our industry’s existence, certain individuals excel in their personal achievements far more than others. Jim Clerkin was such an individual. His brilliance in cutting through complex situations and providing viable solutions to problems has been recognized many times by USITA and other industry leaders. He provided long range and strategic planning and future marketing options for both the competitive and non-competitive markets to USITA’s Executive Committee and Board of Directors. Clerkin’s expertise was frequently called upon and his cooperativeness in responding to the point of the problem was readily accepted. He excelled in operational leadership which led to his rapid rise to positions that were demanding of his talents and influential in our industry. He graduated from Worcester Polytechnic Institute with a Degree in Science and Engineering and from Harvard University with an MBA. He served in the U.S. Navy and joined Automatic Electric Company in 1947. He was elected to his first organizational president position at age 38 and moved rapidly upward to executive vice president in charge of telephone operations, reporting in charge of telephone operations, reporting to Leslie H. Warner, chairman of the board of GTE. It was in this position that Clerkin made many decisions that impacted on the success of the Independent telephone industry. He was held in high regard for his knowledge, leadership, and dedication to the cause of telephony. 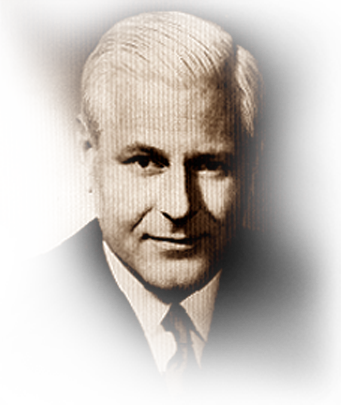 Clerkin was a director of USITA from 1955-1956 and from 1967-1974, and was a member of its Executive Committee from 1967-1970 and from 1971-1974. He served on many committees involving financial, legal, revenue, manufacturing and marketing matters that led to a stronger and better USITA relationship with the former Bell System. He died in 1975.